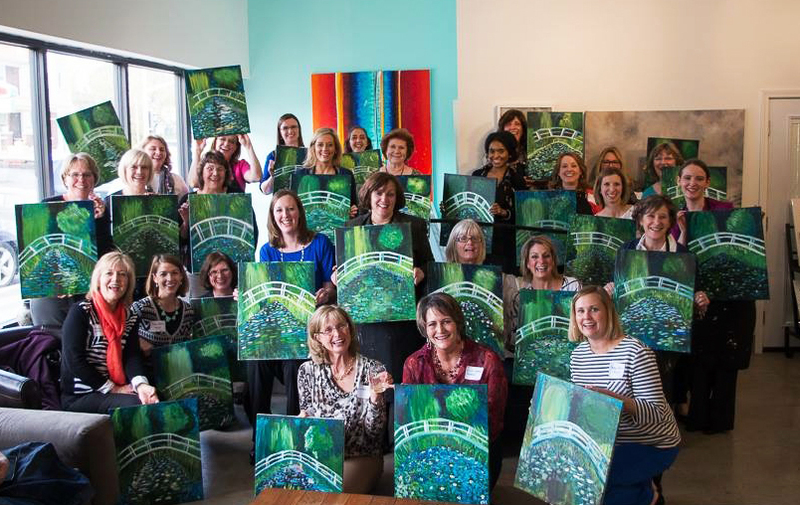 Join us for a BYOB Painting Party! Bring your favorite beverage and we'll provide the rest! Open BYOB Painting Parties every Thursday night! 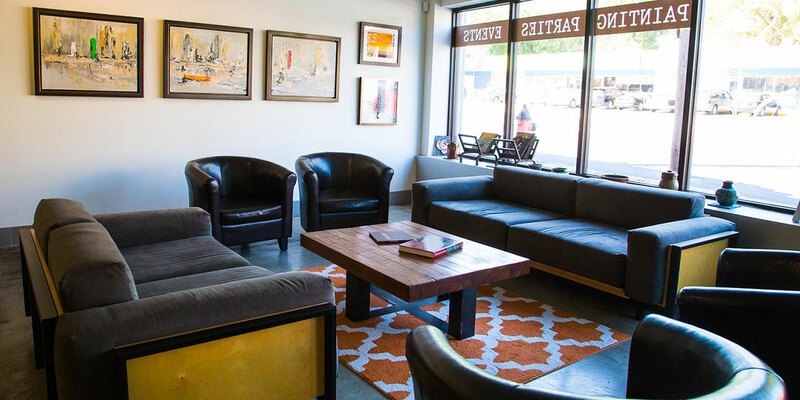 Our small event space is available for rent. 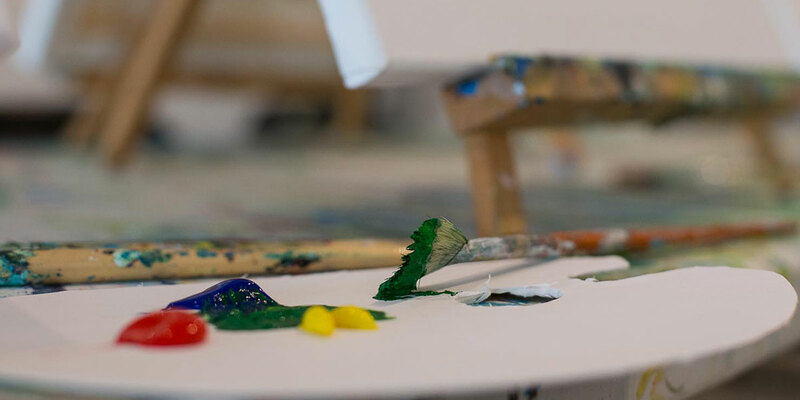 Reserve your spot today at a BYOB Hook Gallery Painting Party! Open painting parties are every Thursday and Friday night, or contact us to book your own private painting party! 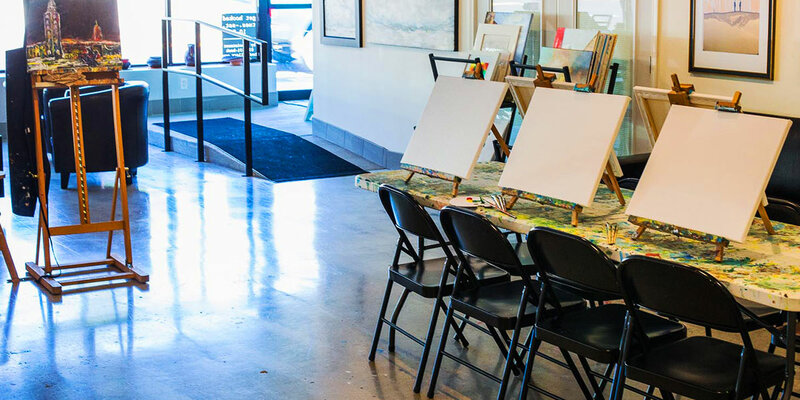 Painting parties at Hook Gallery are a fun and creative way to unwind, socialize, and walk away with your very own masterpiece. 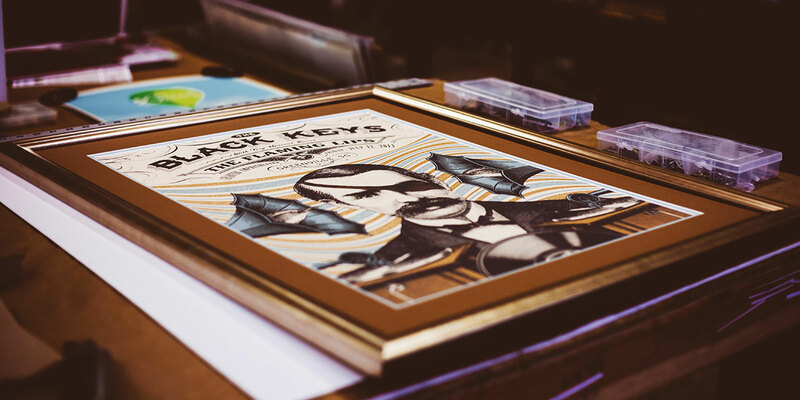 Hook specializes in custom framing with hundreds of frame and mat options to choose from. Commercial framing also available. 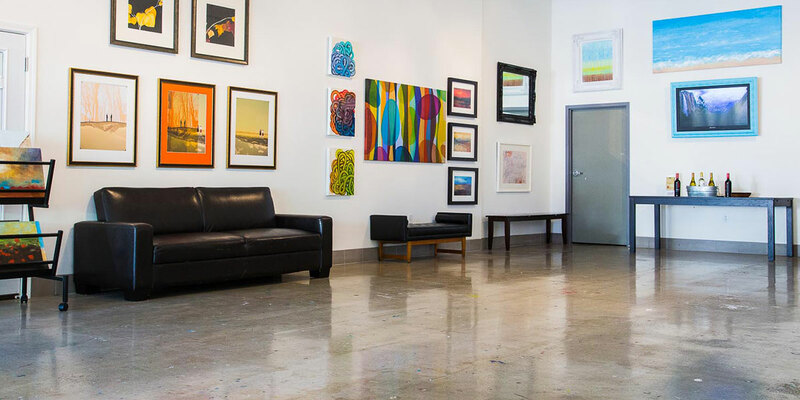 Our unique space, art-covered walls, and convenient Westport location make us the best choice for your special event.